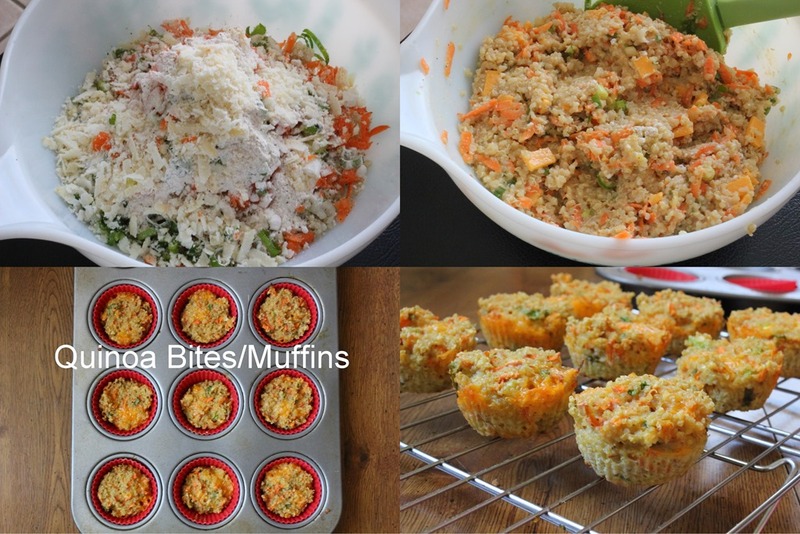 As baby H transitioned from pureed food to solid foods to regular table foods, the recipes I made in the kitchen also transitioned to make them toddler friendly. I just made little adjustments to make sure that whatever food I prepared for the hubby and I, that I was able to adapt and feed to the little guy also. I don’t want and don’t have time to make separate dishes for everyone. I made adjustments like adding salt & pepper towards the end of the cooking process, AFTER I’ve already taken out the portion I would feed to baby. The hubby loves spicy food, so instead of adding the pepper/spicy sauce in the whole dish, he will put it afterwards for his servings. 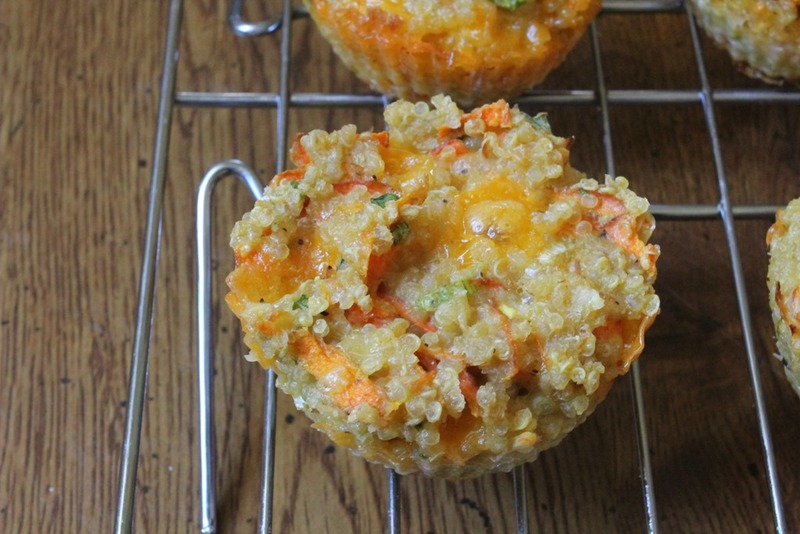 This quinoa salad baked into muffins have been part of my weekly prep for a few months now. 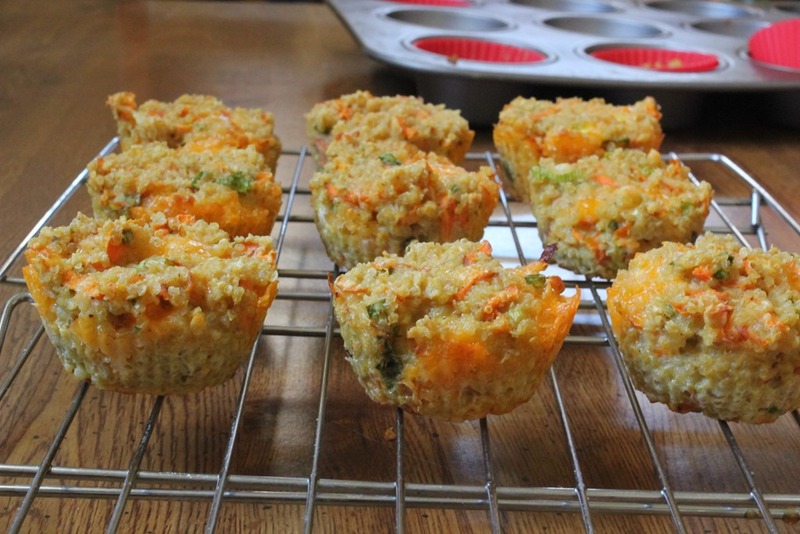 These are very tasty and I’ve had a few teachers comment and request the recipe. It’s a very forgiving recipe, I’ve added all types of veggies in it and just made sure I had enough wet ingredients (eggs) to bind it. I make these in batches, usually 2 dozen at a time. I freeze 1 dozen and leave the other dozen in the fridge. 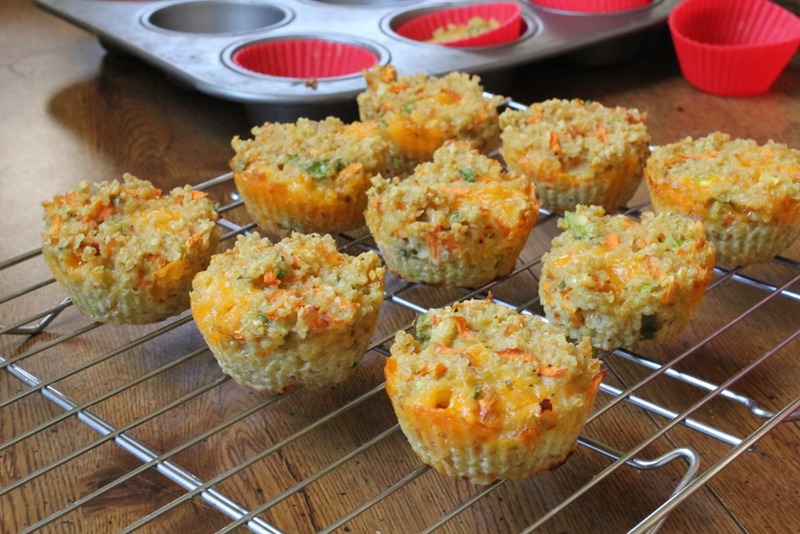 A toddler meal would be 1- 1.5 muffin and fruits. I’ve also packed these for my work lunch and served them on top of a spinach salad. These look absolutely amazing and delicious. Any suggestions on a vegan substitute for eggs in this recipe?